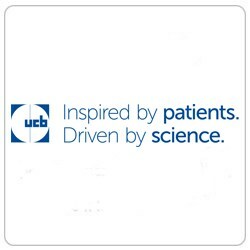 At UCB, we put our heart, soul and skills into making a difference for people living with severe diseases. We look to transform patients’ lives by pushing the boundaries of what is possible. With us, our talents make the most of who they are, unlocking innovation and setting new standards for patients. Everything we do starts with a simple question: “How will this make a difference to the lives of people living with severe diseases?”. And to find the answers, we connect globally with patients and their families living with the physical and social burdens of severe disease. These connections give us new perspectives, drive our innovation, and offer a hope for a new generation of therapies that will help to transform lives. With more than 7500 employees in approximately 40 countries, we are a global biopharmaceutical company headquartered in Brussels, Belgium which invests 24% of revenue in cutting-edge scientific research to meet unmet patient needs. > 2016 Key Financials: €4.2B global revenue.